I remember hearing this when I was a little kid, I probably shouldn't have because it's lyrically so dirty. In the neighbourhood I grew up in every car would be driving by playing that record. 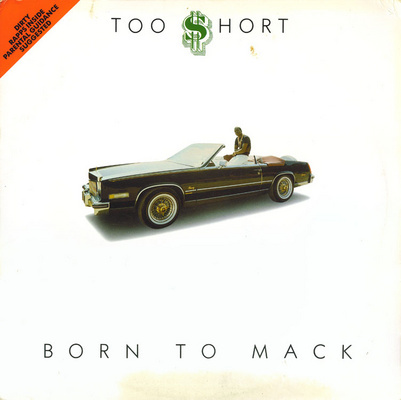 Too Short is from Oakland California which is pretty close to where I grew up in the Bay Area. It was a local rap record in a way. I wanted to put a rap record in there because rap was such a huge influence on my youth. That is one that's probably less well known. It's very minimal, it must have been made on 808 and then there's the rapping. The way that he builds his vocals, he pretty much rapped the whole thing twice and then made it stereo, so it's got this kind of cool sound. I think he was one of the first people to do that. The lyrical content is really vulgar, but super fun to listen to. When I listen to rap today, well it's hard for me to say I'm a fan of rap music, the majority of it I don't like.